Art is something that I relate to since growing, since I went to Art School at the middle school in my city, and I never truly believed I am an artist as my own, untill I created this blog. 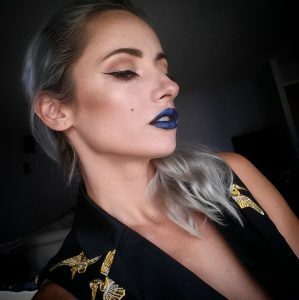 This blog has bloomed my creativity and finally proved I has an artistic talent, and I was able to express that thru my makeup creations and my photos. I was contacted by PixyCanvasPrints to customize my own canvas, and I couldn’t be happier, to print one of my photos for my own display. Some people might think this kind of art is tacky, and might opt for a family photo, and that is also a great option to choose from. My canvas art came exactly how my photo was, with all the imperfections, and that exactly how I wanted it. I opted for a silver frame, since all my decor in the house has silver. You can also buy premade prints with different design and shapes, and these ultimately make really awesome gifts, from house-warming parties, to mothers/fathers day, office gifts, and more. I remember how beautiful their Etsy shop island how eye-catching all the designs are. All the custom prints are made on canvas and coated with an Eco Laquer, with a sturdy customizable floating frame. The art was well packet and didn’t get ruined during transportation, and I know, that is always one of the fears we encounter. So check out PixyCanvasPrintsand discover endless possibilities. That is so cool! I would love to do something like that!